Acne is relatively common amongst teenagers, and it’s easy to see why once we understand a little more about why acne occurs. Spots tend to pop up when too much sebum is produced by the body. This sebum mixes with dead skin cells and blocks hair follicles, causing spots. Teenagers often have excess oil and sebum production as a natural part of puberty, making them more prone to developing acne. In that case, why do so many adults also suffer with breakouts? Once again, hormonal changes are a primary cause of acne, particularly in women. Hormone levels rise and fall through the menstrual cycle, during pregnancy, and with conditions such as polycystic ovary syndrome. These hormonal changes stimulate the sebaceous glands, resulting in greater sebum production and increasing the risk of spots. Some cases of adult acne aren’t acne at all! In fact, some ‘breakouts’ may actually be your skin reacting to the facial creams and lotions you’re using. 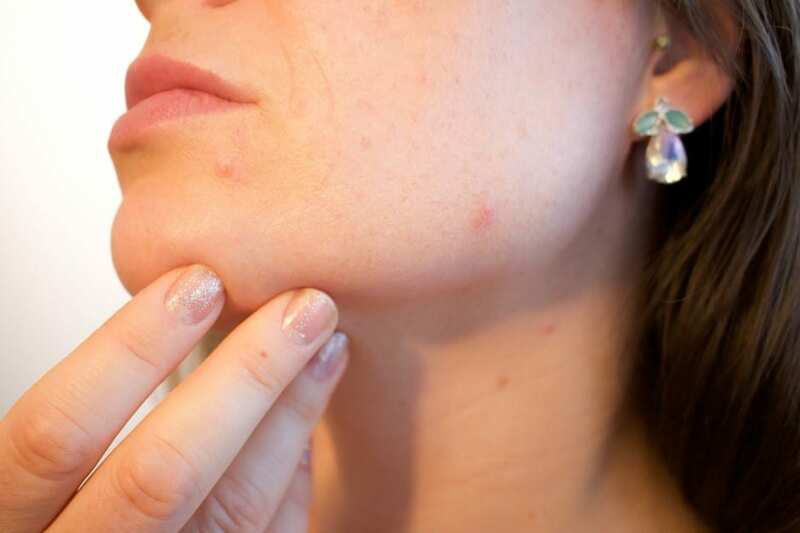 These reactions can look a lot like acne, and may cause your skin to feel hot and tight. If you’re struggling to keep acne under control, the first line of defence is to check what ingredients you’re putting on your face. We recommend using medical-grade skincare brands like Alumier which are free from harmful preservatives and parabens which can trigger reactions. While topical creams can be beneficial, one of the most effective methods for treating signs of adult acne is exfoliation. Why? Because exfoliation removes dead cells from the skin, meaning there are fewer cells for sebum to mix with, and therefore fewer opportunities for plugs to form within the hair follicles. In many cases, at-home exfoliation methods won’t be enough to produce noticeable effects; moderate and deep depth exfoliation can treat acne much more efficiently. Chemical exfoliation through facial skin peels is recommended as a quick and non-invasive method of moderate and deep depth exfoliation. Exfoliation can also be used to minimise the appearance of any acne-related hyperpigmentation; dark spots that remain on the skin after acne has been treated. Microdermabrasion and dermaroller techniques can be used to resurface the skin, helping to create a smoother and more even skin tone. But remember: All skin is different! A skin consultation with our expert team is the best way to determine if you have adult acne, and identify the most suitable methods for rejuvenating your skin.